Shankar–Ehsaan–Loy ( pronunciation (help·info)) is an Indian musical trio consisting of Shankar Mahadevan, Ehsaan Noorani and Loy Mendonsa. They have composed music for over 50 soundtracks across five languages - Hindi, Tamil, Telugu, Marathi and English. Amongst the most critically acclaimed Indian musicians,  the trio have won numerous awards, including National Film Award (India), Filmfare Awards, IIFA Awards. They are often referred to as the "Amar Akbar Anthony" of the Hindi film music industry..
Shankar Mahadevan is an Indian singer and composer who is part of the Shankar–Ehsaan–Loy composing trio team for Indian films. He is also a recipient of one of the India's prestigious award Padma Shree from the Honorable president Ram Nath Govind for his contribution in the music field. Shankar Mahadevan, the main vocalist of the trio, was born and brought up in Chembur, a suburb of Mumbai,  in a Tamil Iyer family from Kerala. He learned Hindustani classical music and Carnatic music in his childhood and started playing the veena at the age of five. He studied under Srinivas Khale, a popular Marathi music composer. After graduating in 1988 with a degree in Software Engineering from Ramrao Adik Institute of Technology in Navi Mumbai under the auspices of Mumbai University, he worked as a software engineer on Oracle Version Six. After working for a while for Leading Edge Systems, Shankar ventured into the field of music. He earned his first award as a playback singer in a Tamil movie, collaborating with A. R. Rahman and winning a National Film Award for his song in Kandukondain Kandukondain . A prominent star in Tamil cinema, he gained further recognition upon the release of his first music album, Breathless , in 1998. Chembur is one of the largest suburbs in eastern Mumbai, India. Ehsaan Noorani is the guitarist of Shankar Ehsaan Loy. Having studied music with Bismarck Rodrigues from a young age. Prior to going abroad to study further music at MIT, L.A, Ehsaan was an integral part of two local bands in Mumbai, Pegasus and Crosswinds. Ehsaan returned to Mumbai and was in demand for his musical skills in composing jingles, working for all the top composers of the time. Until the day Magic Box productions approached him to compose the jingle for Sona Spices, and that marked the beginning of Ehsaans independent journey as a composer of jingles in India. Ehsaan was approached by Mukul Anand to compose the music for his film 'Dus', and he in turn asked Shankar and Loy to join him in composing the music for the film. 'Dus' never made it to the big screen, due to the death of the director. Loy Mendonsa is a multi-instrumentalist who plays the piano, bass guitar, harmonica and is currently learning to play the trumpet. Loy was a genius music teacher for a school in New Delhi, when he was invited to write the music for the show 'Quiz Time' by Siddharth Basu, who gave him his first break. Loy then went on to compose the title track for 'The World This week' and for the Shahrukh Khan TV serial 'Fauji'. Loy moved to Bombay, met Ehsaan in 1989 and together they composed several ad jingles. Shankar Ehsaan and Loy came up from the ranks of the non-film music scene, performing rock, blues, jazz and pop before entering the film music industry. Shankar Mahadevan, a software engineer, worked on Oracle Version Six and studied Western, Hindustani and Carnatic classical music. He made his debut with the 1985 Marathi film Vahinichi Maya. A leading playback singer with Pukar , Sapnay and Biwi No.1 to his credit, he also composed "Breathless". Pukar is a 2000 Indian action drama film co-written and directed by Rajkumar Santoshi. It stars Anil Kapoor, Madhuri Dixit, Namrata Shirodkar, Danny Denzongpa, Shivaji Satam and Om Puri. The film was critically acclaimed but did average business at the box office. It won two National Film Awards, including the Nargis Dutt Award for Best Feature Film on National Integration and the National Film Award for Best Actor for Anil Kapoor's performance as Major Jaidev Rajvansh. The score and soundtrack were composed by A. R. Rahman. Biwi No.1 is a 1999 Indian Hindi comedy film directed by David Dhawan. It stars Salman Khan, Karisma Kapoor, Sushmita Sen, Anil Kapoor, and Tabu. It is remake of the 1995 Tamil film Sathi Leelavathi. Biwi No.1 was the third film in the No. 1 to be directed by David Dhawan and starring Karisma Kapoor after Coolie No.1 (1995) and Hero No. 1 (1997). It is also the only one of the series not to feature Govinda in the leading role. 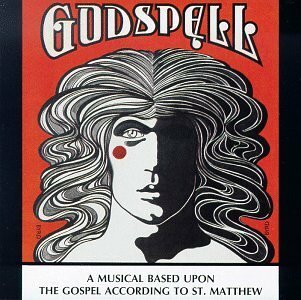 Godspell is a musical composed by Stephen Schwartz with the book by John-Michael Tebelak. 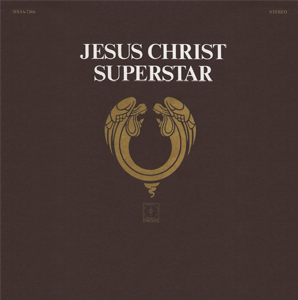 The show opened off-Broadway on May 17, 1971, and has since been produced by multiple touring companies and in many revivals. 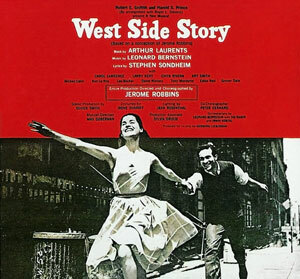 The 2011 revival played on Broadway from October 13, 2011 through June 24, 2012. Ranjit Barot is an Indian film score composer, music director, music arranger, drummer and singer. He is a longtime associate of A. R. Rahman. In 2001, they made their film debut in Tamil film industry, as Kamal Haasan signed them to compose for Aalavandhan . The music sold well due to the hype surrounding the movie,  though the movie itself was a dud in the box-office. The turning point of their career as music directors though, was Dil Chahta Hai , which was the debut film of Farhan Akhtar as a director. Initially, A. R. Rahman was considered to do the music, but he backed out due to other assignments. Then the trio composed a title track for the film, which Farhan liked, and he signed them for the film. The film won wide critical acclaim and went on to attain cult status among audiences. This marked the beginning of the trio's friendship with Farhan Akhtar and long-term association with Excel Entertainments. The year 2005 saw them collaborate with Shaad Ali for Bunty Aur Babli , as his first choice, A.R. Rahman, was busy with other assignments. The soundtrack, despite the initial mixed reaction from various critics, became immensely popular among the public, and went on to win several awards including Filmfare and IIFA awards. The song "Kajra Re" featuring Aishwarya Rai, Abhishek Bachchan and Amitabh Bachchan became a rage among the listeners. In August, the album Johnny Gaddaar was released, which was co produced by the trio and Adlabs, first of its kind in the history of Bollywood. Both the music and movie received overwhelmingly positive reviews from critics. 2011 began with Nikhil Advani's Akshay Kumar starrer Patiala House , which was well received by all mainstream critics, though the movie didn't quite get such an enthralling reception. The following release, Excel Entertainment's Game , was met with poor reviews. the movie itself was met with extremely negative reception from the critics and turned out to be a disaster at the box office. They also scored music for Walt Disney's maiden Indian venture, Zokkomon . The music and the movie failed to generate any positive buzz. Shankar–Ehsaan–Loy have composed for most of the films produced by Excel Entertainment, founded by Farhan Akhtar and Ritesh Sidhwani. They have also associated frequently with Karan Johar's Dharma Productions. Other notable collaborations are with directors like Karan Johar, Shaad Ali, Zoya Akhtar and Rakeysh Omprakash Mehra. Most of the lyrics for the songs composed by the trio are penned by Gulzar and Javed Akhtar; however, they have also frequently associated with lyricists like Prasoon Joshi & Amitabh Bhattacharya. The eternal quest among Bollywood's music composers has been to create interest among younger audiences who tend to be inspired more by musical themes and influences from the West. Since a film's soundtrack is a very influential and critical component of commercial and critical success (required and achieved or sometimes squandered at the box office), this quest to "deliver a film" has always inspired composers to create tunes which combine the best of both traditional Indian music and popular Western or international influences. An overwhelming majority of Bollywood's most popular music has been composed based on classical Indian rāgas (in Sanskrit "raga" is literally "color" or "mood"). Shankar–Ehsaan–Loy have bridged that gap. Academy Award-winning lyricist Gulzar described the music of the trio as a sensible synthesis of popularity and class. Composer duo Vishal-Shekhar considers them as an inspiration. Upcoming musicians Arko Mukherjee, Rajkumar Sengupta and Debopratim Bakshi of the Friends of Fusion band from Kolkata said "We have been influenced by Shankar Ehsaan Loy, so we mix our own elements to their composition. It's our way of paying homage to them"  In Marathi film 'Satrangee Re' paid a tribute to Shankar Ehsan Loy by playing their song Kal Ho Naa Ho. Incidentally Shankar Mahadevan's nephew Saumil Shringarpure also acted in this. The trio is known for launching the career of numerous singers, including Mahalakshmi Iyer, Anusha Mani, Caralisa Monteiro, Dominique Cerejo, and Hard Kaur. Shankar Ehsaan Loy were the recipients of several awards, including three Filmfare awards (Bunty Aur Babli, Kal Ho Naa Ho, 2 States), three International Indian Film Academy Awards (Kal Ho Naa Ho, Bunty Aur Babli, My Name is Khan), three Star Screen awards (Dil Chahta Hai, Bunty Aur Babli,My Name Is Khan),one Filmfare RD Burman Award for New Music Talent and two MTV Immies Awards. In 2004, they received the National Film Award for Best Music Direction for the film Kal Ho Naa Ho.Shankar–Ehsaan–Loy won the filmfare and iifa awards 2015 for 2 states. Armaan is an Indian Hindi drama film starring Amitabh Bachchan, Anil Kapoor, Preity Zinta, Gracy Singh, and Randhir Kapoor. The film was screened at the Cannes Film Festival. This is the first time Preity Zinta played a negative role for which she received a Filmfare nomination for Best Villain. The film marked the first time Amitabh Bachchan and Anil Kapoor appeared together on screen. 21 years earlier they both appeared in Shakti but did not share any scenes together. Karthik Calling Karthik is a 2010 Indian psychological thriller film, written and directed by Vijay Lalwani and produced by Farhan Akhtar and Ritesh Sidhwani under the banner of Excel Entertainment and Reliance Big Pictures. The film stars Farhan Akhtar and Deepika Padukone in lead roles. Ram Kapoor and Shefali Shah play supporting roles in the film. The film's music was composed by the trio of Shankar-Ehsaan-Loy, while the background score was composed by MIDIval Punditz and Karsh Kale. Luck By Chance is the soundtrack album to the 2008 film, Luck By Chance directed by Zoya Akhtar, starring Farhan Akhtar, Hrithik Roshan and Konkona Sen Sharma. The music and score is composed by Shankar-Ehsaan-Loy, while the lyrics are penned by Javed Akhtar. Zindagi Na Milegi Dobara is the soundtrack album to Zoya Akhtar's 2011 Hindi film Zindagi Na Milegi Dobara starring Hrithik Roshan, Abhay Deol and Farhan Akhtar. The film has seven songs and two remixes composed by Shankar-Ehsaan-Loy with lyrics by Javed Akhtar. The album marks the second collaboration of the trio with Zoya Akhtar, and eighth with Excel Entertainment. The music was released on 3 June 2011 by T-Series. "Señorita" is a song from the 2011 Indian film Zindagi Na Milegi Dobara. It was composed by Shankar Ehsaan Loy and performed by Farhan Akhtar, Hrithik Roshan, Abhay Deol and Spanish singer María del Mar Fernández. The lyrics were penned by Javed Akhtar. The Latino-flavoured Spanish flamenco song is about being yourself and having fun. Don is the soundtrack album to the 2006 Hindi film Don: The Chase Begins Again, directed by Farhan Akhtar, and starring Shahrukh Khan, Priyanka Chopra and Boman Irani. The music was released on 26 August 2006, on T-Series. It was one of the best-selling Bollywood soundtracks of the year, with 1.5 million units sold in India. Rock On!! is the soundtrack to the 2008 Hindi film of the same name directed by Abhishek Kapoor, starring Arjun Rampal, Farhan Akhtar, Purab Kohli and Luke Kenny. The original score and songs were composed by Shankar-Ehsaan-Loy. The songs' lyrics were written by Javed Akhtar. Aaj Ki Raat is a 2006 Hindi song from the Bollywood film soundtrack for Don: The Chase Begins Again, a remake of the 1978 film Don. The track is composed by Shankar-Ehsaan-Loy trio with lyrics penned by Javed Akhtar. The song was later used by AR Rahman in the Academy Award–winning 2008 soundtrack Slumdog Millionaire. "Mitwa" is a popular Hindi song from the 2006 Hindi film Kabhi Alvida Na Kehna directed by Karan Johar, starring Shahrukh Khan, Rani Mukherji, Abhishek Bachchan, Amitabh Bachchan and Preity Zinta. The song is composed by Shankar-Ehsaan-Loy, while the lyrics are penned by Javed Akhtar the song was sung by Pakistani folk singer Shafqat Amanat Ali. and the female singer Caralisa Monteiro sang and also penned the words "love will find a way". Anusha Mani is an Indian female playback singer who works actively in the Bollywood film industry. Caralisa Monteiro is an Indian singer known for advertising jingles and bollywood songs. Bhaag Milkha Bhaag is the soundtrack album, by Shankar-Ehsaan-Loy, to the 2013 Hindi film of the same name, directed by Rakeysh Omprakash Mehra that stars Farhan Akhtar and Sonam Kapoor in the lead roles. The album features eight tracks, and was released digitally on 14 June 2013. ↑ "Shankar-Ehsaan-Loy float their music label". Glamsham. Retrieved 16 September 2010. ↑ "Musical trio compose World Cup theme song". PTI. 30 December 2010. Retrieved 30 December 2010. ↑ Puri, Amit (21 October 2002). "Nerd who started at 5 and still not Breathless". Tribune India. Archived from the original on 10 March 2007. Retrieved 20 November 2009. ↑ Yasir (6 November 2003). "Striking the right note... for his supper". The Hindu. Retrieved 20 November 2009. ↑ Prince Frederick (10 March 2010). "The Hindu : Arts : Fender finds its fan". Chennai, India: Beta.thehindu.com. Retrieved 24 June 2011. ↑ "Interview – Ehsaan Noorani Interview: Music, Film and Beyond". Abstract Logix. 14 July 2010. Archived from the original on 29 September 2011. Retrieved 24 June 2011. ↑ Kvetko, Peter James (2005). Indipop : producing global sounds and local meanings in Bombay. Austin: University of Texas at Austin. ISBN 978-0-542-26074-2. 1 2 "rediff.com, Movies: Dil Chahta Hai was 35% work, 65% fun!". Rediff.com. 23 June 2001. Retrieved 24 June 2011. 1 2 3 Gautam, Savitha (2 August 2001). "Raring to go". Chennai, India: The Hindu. Retrieved 8 July 2011. ↑ Fernandez, Vivek. "Abhay sings a fearless tune". Rediff.com. Retrieved 24 June 2011. ↑ ""Remaking DCH is Plagiarism," says Farhan". IndiaGlitz. 12 October 2006. Retrieved 24 June 2011. ↑ "Music Review – Armaan". Planet-Bollywood. 22 March 2003. Retrieved 9 July 2011. ↑ "National Film Awards, India (2004)". ↑ K. Jha, Subhash. "A.R. Rahman uses 'Choli ke Peeche' for Slumdog Millionaire". Bollywood Hungama. Retrieved 26 June 2011. 1 2 Masand, Rajeev. "To Catch a Star: Shankar, Ehsaan, Loy Interview". IBNLive. Retrieved 26 June 2011. ↑ Swati R, Chaudhar. "I was treated at par with all actors– Anjana". Bollywood Trade News Network. Retrieved 26 June 2011. ↑ Masand, Rajeev. "Masand's Verdict: Salaam-E-Ishq". IBNLive. Retrieved 26 June 2011. ↑ "Music review of JBJ". indiafm.com. Retrieved 15 May 2007. ↑ Tuteja, Joginder. "Top Ten Albums of the Week (JBJ)". Bollywood Hungama. Retrieved 26 June 2011. ↑ Tuteja, Joginder. "Top Ten Albums of the Week (Heyy Babyy)". Bollywood Hungama. Retrieved 26 June 2011. ↑ "SEL with Adlabs produce Johnny Gaddaar Album". GlamSham. Retrieved 11 August 2007. ↑ "2007's Top 10 soundtrack". Rediff. Retrieved 26 June 2011. ↑ Tuteja, Joginder. "Top 10 soundtracks of 2007". Bollywood Hunga,a. Archived from the original on 5 December 2008. Retrieved 26 June 2011. ↑ Bhandari, Rohini. "Rock on music sales outcome gives fillip to Big Music". Business of Cinema. Archived from the original on 26 December 2011. Retrieved 23 June 2011. ↑ Tuteja, Joginder. ""Bad reviews is nothing new for us" – Shankar Mahadevan". Joginder Tuteja. Retrieved 26 June 2011. ↑ "ITunes give Luck By Chance 5 stars!". Planetradiocity. Retrieved 23 June 2011. ↑ "Special video on Wake Up Sid track". Bollywood Gossip. Retrieved 23 June 2011. 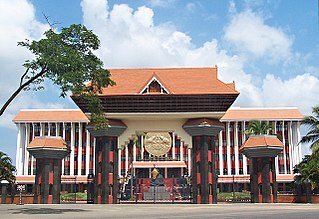 ↑ Gayathry (26 February 2010). "Who is to Shake MNIK?". Entertainment.oneindia.in. Retrieved 10 August 2011. ↑ K., Nabita. "Music 'n' Masti – Bollywood's Top 10!". Bollycurry. Retrieved 24 June 2011. ↑ "Salman, Karan claims to be 'Good looking Ullu Da Pattha'". Bollywood Hungama. Retrieved 24 June 2011. ↑ "We Are Family box office'". Boxoffice India. Archived from the original on 14 October 2013. Retrieved 24 June 2011. ↑ "Box office report". Rediff.com. Retrieved 24 June 2011. ↑ "West is West". Rotten Tomatoes. Retrieved 24 June 2011. ↑ Tuteja, Joginder. "Don 2 : Movie Review by Joginder Tuteja". Bollywood Hungama. Retrieved 20 November 2011. ↑ "Review: Don 2 music is safe, self-conscious". 18 November 2011. Rediff.com . Retrieved 19 November 2011. ↑ "Kamal Haasan's ‘Vishwaroopam’ sets new record, earns Rs 200 crores!". Zee News. 1 March 2013. Retrieved 2013-03-01. ↑ "Bolo na had calibre for National award: Shankar Mahadevan". 18 March 2013. ↑ Shambhavi (18 February 2019). "Shankar-Ehsaan-Loy to enter the digital space with 'Bandish Bandits'". The Indian Wire. Retrieved 3 March 2019. ↑ "Movies: 'We do versions, not remixes'". rediff.com. 14 August 2002. Retrieved 26 June 2011. ↑ "Nautanki gets permanent home in Kingdom of dreams". The Times of India. 30 January 2010. ↑ In De Ghuma Ke, Shankar-Ehsaan-Loy score a hit with World Cup song Archived 14 July 2011 at the Wayback Machine NDTV Movies. Retrieved on 10 January 2011. ↑ "Express concert to celebrate democracy – Express India". The Financial Express. 14 April 2004. Retrieved 3 July 2011. ↑ "Shankar-Ehsaan-Loy pay tribute to R.D. Burman at IFFI". Bollywood Hungama. 30 November 2006. Retrieved 3 July 2011. ↑ "Bachchans, Hrithik, Preity & 'Rock On' team at Live Earth India concert". Bollywood Hungama. Retrieved 21 November 2008. ↑ Vikaas, Kishwer (19 July 2010). "Shankar-Ehsaan-Loy – Izod Center, NJ". Mtv Iggy. Retrieved 26 June 2011. ↑ 18Jul10. "Shankar Ehsaan Loy Rock New Jersey " vaigyanik". Chunnibabu.wordpress.com. Retrieved 26 June 2011. ↑ Preeti (27 July 2010). "Preeti's Rants & Revelations: Shankar Ehsaan Loy – LIVE in concert". Rantsnrevelations.blogspot.com. Retrieved 26 June 2011. ↑ "Asia Rocks". Royal Albert Hall. Retrieved 25 July 2011. ↑ "Boxofficeindia.com". Boxofficeindia.com. Archived from the original on 5 February 2010. Retrieved 24 June 2011. ↑ "Kajra re not devoid of poetry: Gulzar – Hindustan Times". Hindustan Times. 3 July 2011. Archived from the original on 25 January 2013. Retrieved 3 July 2011. ↑ "To Catch a Star: Musical duo Vishal-Shekhar – Movies News News – IBNLive". 3 July 2011. Retrieved 3 July 2011. ↑ Sen, Radhika. "Tinsel tribute". The Telegraph. Retrieved 26 July 2010. ↑ Hindustan Times (3 July 2011). "Shankar-Ehsaan-Loy honoured at rock awards – Hindustan Times". Archived from the original on 11 February 2011. ↑ "S E L with Adlabs to 'produce' the JOHNNY GADDAAR album". Bollywood Trade News Network. Retrieved 11 August 2007. ↑ "Shankar-Ehsaan-Loy float their music label - bollywood news : glamsham.com". 3 July 2011. Retrieved 3 July 2011. ↑ "Shankar-Ehsaan-Loy launch music label – Hindustan Times". Hindustan Times. 3 July 2011. Archived from the original on 21 January 2011. Retrieved 3 July 2011. ↑ "Philips launches two audio-video products". PTI. Retrieved 11 August 2011. ↑ "Shankar Ehsaan Loy to endorse 94.3 RADIO ONE". Bollywood Trade Network. Retrieved 9 June 2010. ↑ "Bollywood lends a helping hand". 29 December 2010. Retrieved 3 July 2011. ↑ "Shankar-Ehsaan-Loy rock Chennai for a cause – Movies News News – IBNLive". Ibnlive.in.com. Retrieved 10 August 2011. ↑ "Bollywood stars at a Rock concert for Bihar Relief Fund". 29 December 2010. Retrieved 3 July 2011. ↑ "Shankar, Ehsaan and Loy launch best rock band search – Movies News News – IBNLive". IBNLive. 3 July 2011. Retrieved 3 July 2011. ↑ "Shankar, Ehsaan, Loy perform for a good cause – Movies News News – IBNLive". Ibnlive.in.com. Retrieved 10 August 2011. ↑ Tuteja, Joginder. "London Dreams Music Review". Bollywoodhungama. Retrieved 23 June 2011. ↑ Pal, Chandrina. "London Dreams is all about Boys". Rediff.com. Retrieved 23 June 2011. Wikimedia Commons has media related to Shankar-Ehsaan-Loy .